Yunju does not rely upon the holy ashes of a person who has faithfully followed the Precepts. Jiufeng does not appreciate expiring while sitting or standing. Niutou does not need hundreds of birds to bring him flowers. Huangbo does not envy putting a cup upon the river and gliding across it. Tell me, what are their special merits? Niutou Farong sat daily in his iron chamber, while the birds of heaven brought him flowers to admire and worship him. The Fourth Patriarch (Dayi Daoxin, 580-651) smelled the fragrance of the spiritual flavor of the flowers and came to visit Niutou. When Daoxin arrived at the place, two tigers came out to welcome him. Daoxin was astonished. Niutou then greeted him, “There is still this!” The two met and conversed intimately with each other. During Niutou's short absence, Daoxin drew the character “Buddha” upon Niutou’s sitting cushion. Niutou came back and wanted to do zazen. He saw the character “Buddha” on the cushion and was somehow perplexed. Thereupon Daoxin said, “There is still this!” After this, Niutou became a disciple of Daoxin and began his most serious practice. Jiufeng Daoqian served Shishuang Qingzhu as his attendant. After Shishuang's passing, the assembly wanted to make their head monk the abbot of the temple. Becoming a vertical stripe of white silk. No sooner had he said this than he expired while sitting in zazen. Jiufeng caressed his back and said, “Dying while sitting or standing is not impossible. "Cease, desist" (Cleary); "Go through, desist, cease" (Wick). 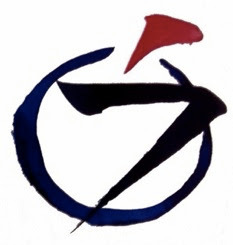 The Book of Serenity text contains five out of the famous “Seven Aspects of Realization” of Shishuang Qingzhu, leaving out the third and sixth. These are: "3. Becoming a cool land of desolation," and "6. Becoming a fragrant censer in the ancient shrine." "Spend ten thousand years in one thought" (Cleary); "One thought is ten thousand years" (Wick). "Be cold ashes, dead trees" (Cleary); "Cold ashes and withered trees" (Wick). The image is of a waterfall. "Be a strip of pure white silk" (Cleary); "and one strip of pure white silk" (Wick). "Which side does this illustrate?" (Cleary); "What state of affairs does this clarify?" (Wick). "It illustrates the side of uniformity" (Cleary); "It clarifies the affair of a one-colored state" (Wick). "As far as dying seated or standing is concerned, you're not lacking," (Cleary); ""It's not that you can't expire while sitting or pass away while standing" (Wick). Then he should emulate Huineng, having no cleverness, he shouldn't be like Shenxiu sweeping dust. What are you doing wasting effort? The fellow's forgotten before and lost after. Beware of even a spot soiling it. He just wants there to be no matter. One day the authority is in your hands. After all he doesn't understand. What place is this to go like that? Personal liberation is relatively easy. To express the whole thing must be hard. Shishuang's primary point intimately transmitted to Jiufeng. Was personally transmitted to Jiufeng. Expire with the incense smoke and it's still hard to succeed the true lineage. The true bloodline cannot go through. The crane nesting on the moon has a thousand-year dream. the man dwelling in the snow is lost in one-colored merit. The man in the snowy room is deluded by the achievement of uniformity. When sitting cuts off the ten directions, you still bump your head. Move one step closer, and you'll see a flying dragon. Quietly move a step and behold a flying dragon. After Jiufeng said this, if the head monk had replied, "I am not as good as you," he then would have given Jiufeng no room to fit his body, and would have made him submit with all his heart. As it is said, "When you contend, there's not enough; when you defer, there's extra." All his life Shishuang set up a "dead tree hall" and settled a "dead tree congregation." Time and again they would sit without lying down, and among them, those who dies sitting or standing were very many. Jiufeng alone did not approve of the head monk. As for those in the present who like dying sitting or standing, why don't you investigate Jiufeng's disagreement? And tell me, what function did Jiufeng have? To say "he has clarified the world of enlightenment" is a pitiful reply. To see only the world of equality and sameness is a shallow realization. He saw that all things are equal and the same -- this is basic wisdom. He must go further and open up "wisdom that is subsequently attained." "Wisdom of wondrous observation has to come into play as well. He must now use the eye of equality to look at the world of difference anew. To realize only the aspect of sameness is enlightenment sickness. Shishuang begins his Seven Departures by taking leave of that sick world wherein all things are seen as being of a single color, and gradually becoming clearer and more penetrating as his practice continues. Having polished his enlightened mind to clarity by letting everything fall away, he came at last to the original person of total ordinariness. This is what Shishuang was talking about. No wonder the attendant would not accept the head monk's answer!" The melodrama with the head monk is only a secondary point of this koan. The main point is to understand what Shishuang's intention really is. "Go through." How do you go through a gateless gate? You never waver and are steady and consistent. Maintain faith in yourself and in your practice. Whatever obstacles come up, just go through. Deist holding onto your ignorance. Desist your self-grasping ignorance. Desist the kind of thinking that gets you into trouble. Thinking is in itself fine, but grabbing onto thoughts and images of your self will bring you suffering. Whatever you think you've accomplished, desist! If you'e dropped away your self-grasping ignorance, then drop away that dropping away. Then it becomes still more subtle. Each creature completely covers the entire ground. You can find infinity in a grain of sand or ten thousand years in one thought. The cattle tick waits on a blade of grass for a cow to come by. They become dormant and can stay there motionless for months until pheromones from a cow stimulate it to jump. That tick is not siting there, thinking "What is a damn cow going to come by? I've been waiting here for two days alreayd!" Not one thought! Just pure awareness. How can you become cold ash and still have hot blood pumping through your veins? If you drop away body and mind, that's called the state of cold ash. 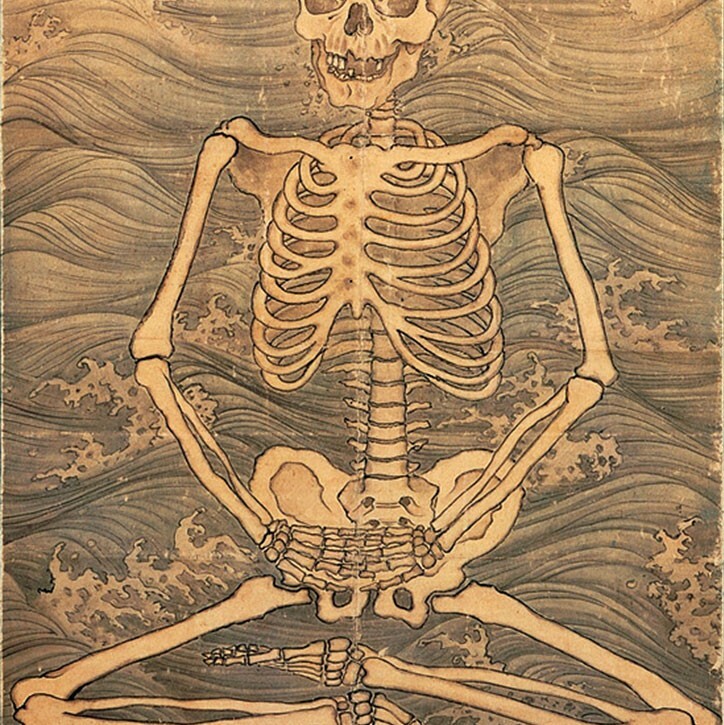 There's no fear of death and no yearning for it -- because you've already dropped away all ego attachments. The withered tree symbolized maturity. Attachments have dropped away like leaves from an old oak. There's something else about a withered tree: the sun can penetrate right through. It doesn't obscure or filter anything. It's just right there. That's a very accomplished state. One strip of pure white silk is free to be anything, according to what the situation is. The head monk was attached to that one-colored state. When it snows, everything's white, but when the sun comes out and the snow melts, the multicolored hidden bodies are exposed. Conditions change all of the time. "When your bow is broken and your last arrow spent, then shoot with your whole heart!" Let go of all your devices, supernatural and common, and be genuine. Then you will understand the late master's intent. The head monk felt that the master was clarifying the world of satori. But actually the world of satori is simultaneously the world of ordinary common sense. Although they are two, they are actually one. You cannot separate them from each other. They are completely one. If you have powers of concentration, such a thing is possible. But it has nothing to do with enlightenment. Although power of concentration is definitely necessary to realize satori, if we ask whether satori will always arise from such concentration of mind, the answer is no. Jiufeng felt so sorry for the monk. Whether this is a story from the dreamtime, or from history, after this incident Jiufeng is elected abbot of that monastery, and would over time become a renowned master of the great way, dying in the second decade of the tenth century. I read this case and sometimes feel a wave of grief flow over me, particularly with that gentle caress and that harsh but true, true assessment. The head monk didn’t have a clue. 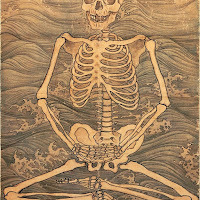 Even if his powers of meditation had advanced to the point he could will his own death, that isn’t the deal, that isn’t what this path is about. Not at all. Here we get a pretty straight forward presentation of the way, and one of the principal ways it is misunderstood. It is so easy to read those words and to think it is only about tumbling into the great unknowing, into the vastness of emptiness, where there is no action, and no life, and no death. And this is a true place. We are absolutely empty. Vast. Boundless. So, perhaps we need to cut the head monk some slack. But, not make him abbot, not give him the cure of souls, not on our way. Our way is rather more subtle and dynamic than that one important insight. Emptiness is found exactly and only within the phenomenal world, this world of choices and actions, where there definitely is life and there definitely is death. Each sentence of the old master Shishuang’s teaching is an invitation into finding the reality of emptiness within form. What is the withered tree way? Remember the old woman who beat the monk who had no passion, drove him away, burnt the hut he had polluted for years down to the ground and then poured salt on it. Don’t waste your life. Don’t die without knowing. Find the great empty. And save the many beings. his friend paid him a visit. but more difficult to live in the truth. and near the end of its lifespan. But what do you do for an encore? Take your act on the road.